Your community can encompass many things. From your family and friends, to those that live in your larger area and even coworkers, associates and others, your community is unique to you. These are the people that engage with your business every day, the impressions that will make the biggest impact and have the most ROI. That’s why it’s so important to create a lasting, positive relationship with those in your community. Invest in your community and they’ll return the favor. 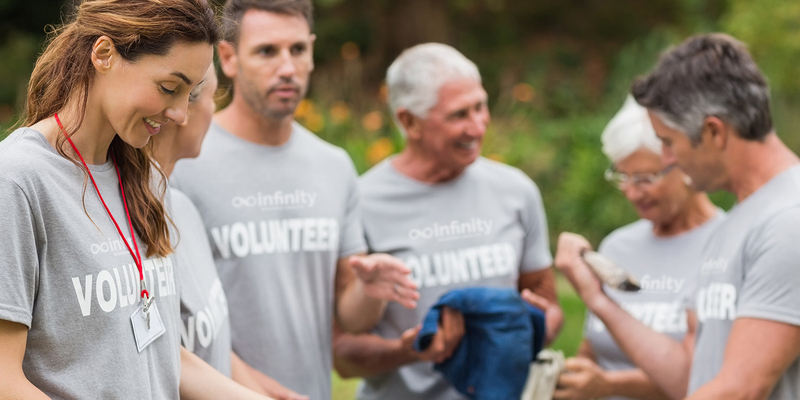 From sponsoring healthful events like walk/runs to participating in charity golf tournaments and more, you can spread your brand name and promise organically and create a positive impact through community involvement. Investing in these types of events also shows you care about overall health and wellness of not only your current consumers, but everyone in your local area. This can translate to potential leads remembering your name when they need to seek new facilities. Sponsoring nontraditional events can also be beneficial for your brand. Throwing an outdoor retreat or a gala for your donors and using branded merchandise to show appreciation for those that allow your continued work can equal a huge success for your awareness initiatives. Plus, events like these offer opportunities to gain additional donations and funding. Win-win! Additionally, participating in community outreach gives opportunities to cobrand with the event itself on your promotional products. This can not only provide an excellent incentive to attend, but also generate increased brand recall. Demonstrating your commitment to bettering your community comes with a myriad of benefits for all parties involved. And no matter what way you choose to engage with your community, there are multiple opportunities to utilize promotional merchandise to further your branding and recognition initiatives. Make sure your brand is accurately and notably represented at local events with logoed items people will love. With all that in mind, Staples Promotional Products brings you the Community Outreach Collection. Explore creative solutions for your next event in this comprehensive collection of branded gift ideas.